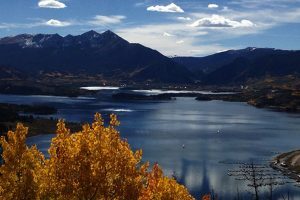 Breckenridge, ranked as one of the 10 most beautiful small towns in America and its proximity to some of Colorado’s most desired recreational activities is by far our guests #1 choice to stay to access our balloon rides. 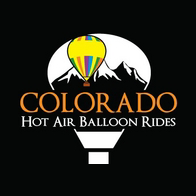 Colorado Hot Air Balloon Rides is Summit County’s only locally owned and operated balloon ride company and has been serving Breckenridge for over 20 years. Our balloon ride facilities are conveniently located only 1 hour from Breckenridge. As a Breckenridge Region guest you have the option to meet us directly at the launch site in the South Park Valley or to meet us at our central meeting place in Breckenridge and take our complimentary ground transportation to and from the launch site. The reservation form will ask you under “Pick Up Required” whether you are planning to meet us directly at the launch site in the South Park Valley or if you are plan to meet us in Breckenridge and take our complimentary transportation on the morning of your flight. Once you submit your reservation you will immediately receive an email with a separate confirmation attached to it. The attached confirmation will contain your meet time and directions specific to the Breckenridge Region that you will be coming from on the morning of your flight. Please save this email and print your confirmation for future reference. If you do not receive this email immediately after you submit your reservation call our office at 888-468-9280. To proceed to the online reservation form please click on the button below.